Cheers to a Beverage Package for Guests 1 & 2. Take your tastebuds on a tour with a 3-Meal Specialty Dining Package for Guests 1 & 2. 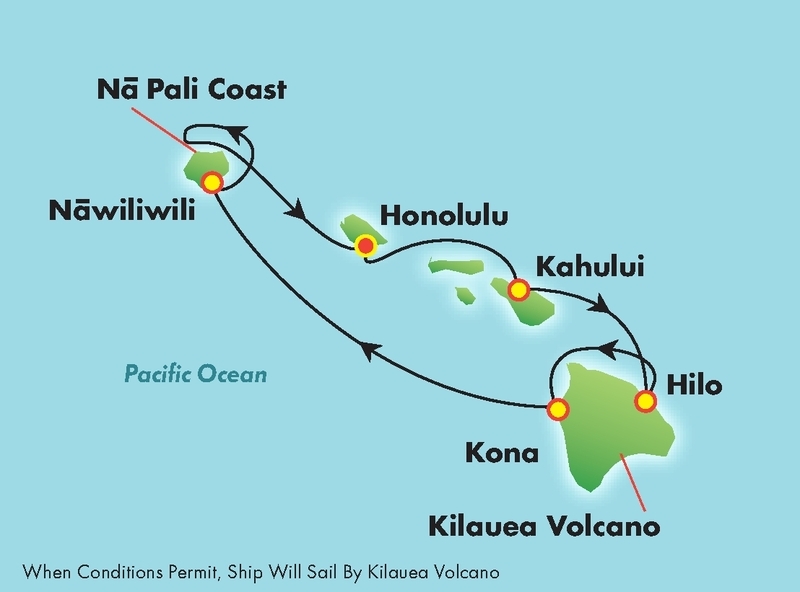 Venture out to explore Kahului, Hilo, Kona and Nawiliwili with $50 USD Shore Excursion Credits. Stay connected while at sea with 250 minutes of Free WiFi to use throughout the ship. Experience Hawaii with your ohana. Guests 3 & 4 Sail at a reduced rate on select sailings. BRENT’S TOP TIP? # Get your cameras ready for some great shots of the Kilauea Volcano!